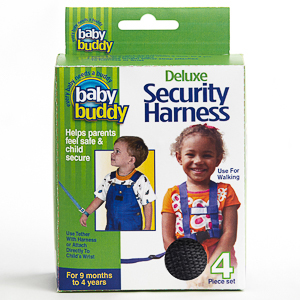 Introducing the New Secure-A-Toy Fashion toy straps. 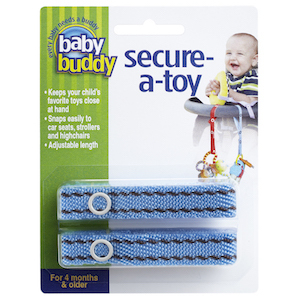 Handmade in the USA, Secure-A-Toy are simple toy straps, which provide a safe and attractive method for keeping baby's favorite toys and teethers close at hand, preventing them from being dropped or misplaced. Use the center snap to shorten the strap's overall length or to create a larger loop at one end. Unlike velcro, the snaps don't lose their strength and don't snag on baby's clothing. 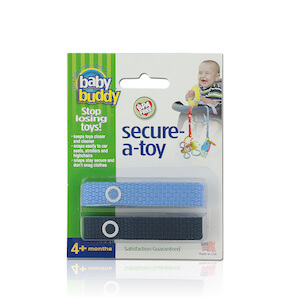 Secure-A-Toy are great for use in a car seat, stroller or highchair and come in a variety of colors. Celebrate your school colors, sorority/fraternity, or favorite team colors! 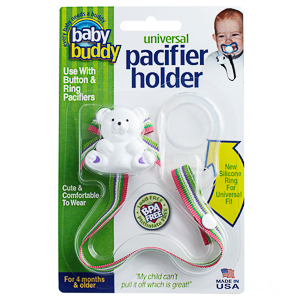 Use with Baby's 1st Toothbrush to give baby someething that they CAN put in their mouth and chew.